The often quiet albeit very much respected veteran broadcast-journalist who spent 13 years as Managing Editor and Sports Editor of the Los Angeles Sentinel, Ron Dungee died on Monday Nov. 4 at Cedars Sinai Hospital. He was 75. 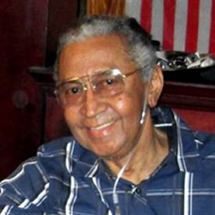 Dungee was admitted to the hospital on Friday Nov. 1 after suffering a second bout of pneumonia. Known for his easy going personality, Dungee was the consummate professional and after arriving to the west coast from his birth place of Chicago, his impression in television, radio and print journalism was made. He transformed from a small time sign painter in Chicago to a veteran of the broadcasting and journalism field for more than three decades beginning in Las Vegas in 1970, where he served as the news anchor for KORK TV and then taught broadcasting at the Univer­sity of Las Vegas at Nevada. A former member of the Air Force, where he committed four years of his life, Dungee then came to Los Angeles where he became a staple on radio in 1971 at KGFJ, where he was news and sports director and continued in either one or both of those capacities at KEARTH, KDAY, KKTT, KJLH, KFWB, KUTE and then at Willie Davis owned KACE. Dungee joined the Sentinel in 1990 as a proof reader and was promoted to Managing Editor and Sports Editor until he left in 2002 to work as press secretary for Congresswoman Maxine Waters. He worked for Rep. Waters for two years before retiring. He was married to his wife Mary Davis-Dungee for 27 years and is survived by Tanya Brown, Waynette Davis, Jenifer Dungee-Thompson and John Davis. “I will miss his unbelievable intelligence and dry sense of humor,” said his widow. He was very quiet and he loved people,” Mrs. Dungee added. A private memorial service will be held for Ron Dungee at Forrest Lawn in Glendale.